STEM science lessons can begin as early as pre-school. With a focus on using natural sources, such as heat from the sun, movement from wind and water and supplies from the earth, students as young as three or four can work on simple science projects that have a serious STEM focus. If the projects also incorporate some very basic technology, then it makes the project that much better! This was perhaps the idea that Nick Jr. had in mind when they launched the Episode of Dora the Explorer entitled “The School Science Fair." The premise of the episode is a simple one for students to understand. All of Dora’s friends are entering projects in the school science fair. The focus is on “going green" or science projects that use natural resources in order to work. While some of the projects seem a bit advanced for the age group (the solar powered popcorn machine and the wind-powered car come to mind), each project provides great visuals of science and technology working hand in hand. There is also a great tie-in lesson during the stop at the Animal Rescue Center where Dora, her friend Emma and her cousin Diego briefly teach children about carnivores and herbivores. The song is catchy; by the second or third animal, students will be able to identify what the animal will chose to eat correctly. In this episode, you really get two separate science lessons within the half-hour period! Check the References section for a link to this episode online. 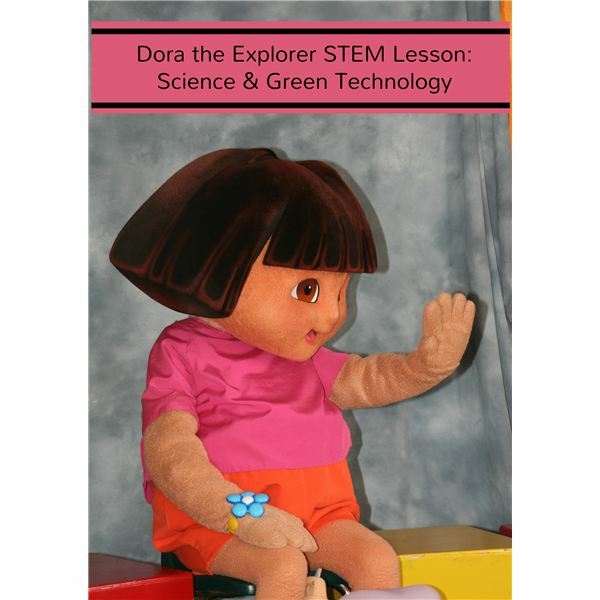 The second in a series of five articles based on using Nick Jr shows to teach STEM, this lesson looks at Green Science and Technology. The downloadable worksheets, of which there are three, as well as the teacher resource sheet, should help make this lesson a success, while employing the hands on and open ended question techniques that are so essential for STEM learning. Nick Jr. is a favorite with preschoolers across the country and around the world. The lessons in this series incorporate popular shows from this network to help interest and excite pre-k students.